It's Summer Time! 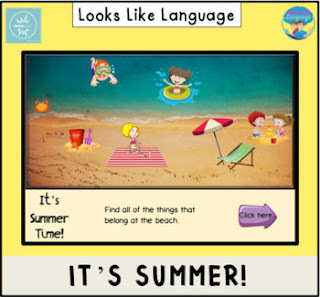 Kids love to hear those words and they will have fun with this interactive digital categorizing activity that can be played on iPads and computers! No reading required- just find the pictures of items that belong on the beach to build a summertime picture. No prep, no print, just quick and easy fun learning. Purchased Boom Cards can be played with the Fast Pin feature using a free Boom Learning account. Student progress reporting is a premium feature. If you are new to Boom Learning, this purchase includes a 90-day free trial of student progress reporting. A Boom Learning account is required to use Boom Cards.